AOL still makes almost all of its shrinking profits from that dial-up product you remember from the 1990s and their search deal with Google. In hopes of changing that, AOL is betting a big portion of its also dwindling revenues on a network of 840 local news blogs called Patch. Analysts say the investment will come to about $160 million this year. The problem with this plan is that so far, Patch traffic remains tiny. During AOL’s Q2 earnings call, CEO Tim Armstrong said Patch has reached 10 million monthly uniques. That sounds like a lot until you remember that Patch has ~700 more editors and ~20 million fewer uniques than AOL’s other big media bet, the Huffington Post. Because Patch’s traffic is so tiny, we have always assumed that its revenues are too. So have AOL’s investors, many of whom dumped the stock after Armstrong refused to talk about Patch revenues during AOL’s last earnings call. Well, we don’t have to assume anymore. Patch revenues are, in fact, tiny, according to the same source who, yesterday, accurately informed us that two of Patch’s ad sales leaders had suddenly left the company. He says that Patch sales people are able to look at a Salesforce.com interface see a revenue number for each of Patch’s 840 towns. So there you have it: according to one insider, Patch will lose about $130 million this year. AOL knows a $130 million loss on Patch is not a number that will make its remaining investors happy. So, it probably wants to come up with something it can tell them to keep them from pushing the stock even lower. 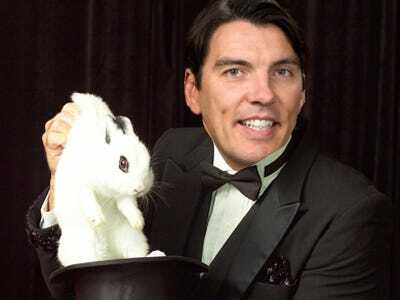 To that end: our source says that AOL is using “smoke and mirrors” trying to get 10 sites profitable by the end. It all has to do with some clever accounting. In other words, when AOL sells a $50,000 deal in the Northeast, the source is suggesting that AOL accountants will assign 20% of that sale to a specific Patch in order to make that Patch look profitable. Briefed on the details of this story, a Patch PR rep declined to comment. * The Huffington Post Finally Owns HuffPo.comAOL still makes almost all of its shrinking profits from that dial-up product you remember from the 1990s and their search deal with Google. This entry was posted on September 22, 2011 at 7:17 pm and is filed under Uncategorized. You can follow any responses to this entry through the RSS 2.0 feed. You can leave a response, or trackback from your own site.